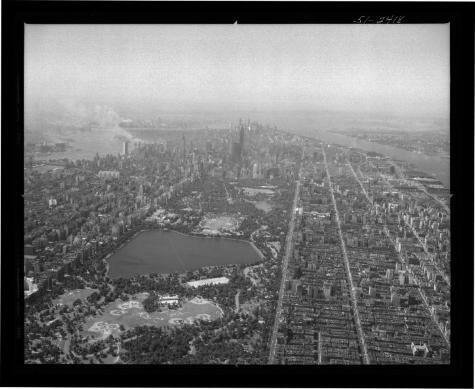 Aerial view of Central Park in the middle of Manhattan in New York City, looking south. Brooklyn and Staten Island are just visible in the distance. Source: New York State Archives, Aerial photographic prints and negatives of New York State sites, 1941-1957, B1598-99. Box 3, no. 78.